Cross-border transportation has evolved since 9/11. Not to worry. You can count of the Transtar Team to meet the challenge and provide your company with the highest level of service leaving you to focus on what you do best. 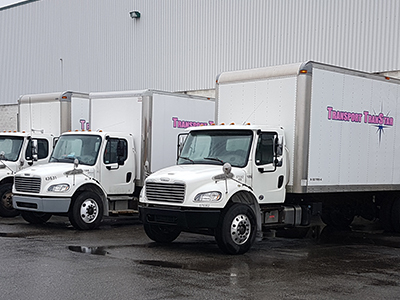 Our TL and LTL service spans all 10 provinces from coast to coast, with our flexible 24/7 operational network that will make your life easy and not break your budget. From our headquarters in Montreal, we can handle all urgent or dedicated delivery needs offering customized solutions with our reputation built on excellence, so you can sleep at night. In addition to our outstanding transportation service, we also provide both short and long term warehouse facilities that can add flexibility to your supply chain network. One more reason to give us a call.